And thus arrives the masterly direction of Maestro Daniel Smith, at the complete service of the public and of the operatic fruition; a leadership that more than once saves the whole production, delivering together an orchestra 'champing at the bit' with enthusiasm. In charge, the first-class conductor, Daniel Smith, fresh from the Paganini International Violin Competition, who has eviscerated Verdi's masterpiece for 15 years through different interpretations, in search of the undervalued aspects. Nothing left to chance, every detail noted. The young Daniel Smith proves not only to be wise, but also to be “an artist”. The music is dominated by his already mature clarity, a clear and precise vision emerging, from which a masterful execution is delivered. And in this execution, Smith instills that extra spark that marks the difference between a good, prepared conductor and a grand Maestro: he does not need any choreographed special effects, instead, everything is measured with care, from the religious pathos of Messiaen to the revolutionary impetus of Shostakovich, and for this, he is extremely intelligible and incisive. In the complete observance of the score, the musical interpretation is plenty of a specific well-balance character and with good efforts in underlining specific moments in the "assieme" scenes. 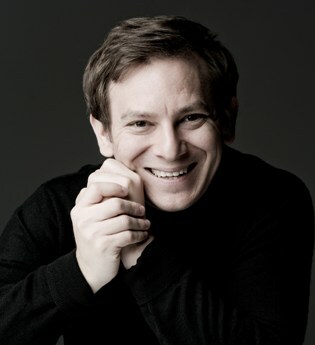 The orchestra is extremely well conducted by Daniel Smith, paying an accurate and careful attention to the balance between the orchestra and the voices, supporting especially the latests: "Una furtiva lagrima" above all! The Australian conductor is enthralling! The last concert of Orchestra Haydn joined together the two last symphonies of Haydn and Mozart who closed the first phase of Viennese classicism, a symphonic heritage to whom Beethoven would give a further and definitive ‘flap of the wings’ rendering it a universal art form. Symphony No.104 of Haydn begins with a powerful explosion, a primordial big bang which gradually, from the darkness and from the initial chaos, takes shape with the formal clarity of the initial Allegro. The final movement of Mozart’s “Jupiter” should instead be protected by UNESCO as a World Heritage Site. The Australian conductor Daniel Smith gave proof that he understood all of this, conducting the two symphonic masterpieces by memory in an evidently mature performance, assimilated very well through his energetic and determined gestures. His full-of-life interpretation returned all of the expressive meaningfulness to the two symphonic works, making them enjoyed not like music from a wax museum, but still current, fresh and present in their artistic values. ‎"Smith sensed and created distinguished subtle timbres and rhythmic passages which were accurately and precisely executed." "Daniel Smith is the conductor who everyone is talking about!" "It's a perfect evening, at which nature seemed to be in harmony with the music. The concert sold-out, the orchestra in great shape and a young conductor of great talent, is the recipe for the success of this concert, which spoke of "the Russian soul" through two iconic composers, Tchaikovsky and Rachmaninov. Young Australian conductor, Daniel Smith, produced pages of rare richness, colour and feelings expressed through subtle tones from the Nice Philharmonic. A river of emotion, which from the outset, immersed the public. The attentive direction and responsiveness of Mr Smith impressively drew the strength of work synonymous with Renaissance of the composer. And to even better illustrate, the musicians asked Daniel to repeat the entire finale as an encore." A dynamic, extremely bright conductor, making music with enthusiasm and excitement. “A dynamic, extremely bright conductor, making music with enthusiasm and excitement. He enlivened the orchestra from the very first bars of the symphony (in C major KV 550 "Jupiter" by Mozart). During the rehearsal realizing that it needed no detailed comments at the start, he alone, Daniel Smith, trusted and devoted himself to sculpt using only his hands, the character of the music, bringing it many shades of emotion. Extremely musical, he gave many feelings of freshness to seemingly obvious sections. Sensitive to the dynamics of each line, by just conducting, he was present throughout the whole orchestra, listening to and appreciating the music and of the member of each section individually. "Oberon" Karl Maria Weber - he led "equipped" with his baton, strongly emphasizing the dark bass register and the melody of every instrument, including those usually hidden, continuing the line. The orchestra listened very attentively to him and he also convinced the orchestra to listen to one another, "softer - first violins" (his left hand showing), "see" (he turned his head for a moment with a smile, pointing toward the woodwind group), "see how beautifully the clarinet plays now."